The thing is, even a low score on a PSAT (Preliminary Scholastic Aptitude Test) can be good if it motivates you to focus on what you need to learn before taking the real test. Think of your results as a valuable document that shows you what you still need to learn or re-learn prior to the real SAT. First, analyze your results to see what questions you answered incorrectly. Is there a pattern? Are you missing a basic concept? Is there a series of silly errors because you were rushing? Or, did you not take the test seriously enough? Why? A certified college planning professional can help you answer these questions and provide valuable insights into the testing and college admissions process. If you scored high, are you in contention for the National Merit Scholarship? If so, what do you have to do to get the designation? Once you have your 11th grade PSAT in hand, take a Mock ACT (American College Test) under real testing conditions. Once you have those results, have them compared to the PSAT results and see which test better highlights your abilities. Then work out a reasonable testing schedule for the preferred test. Finally, use your results, along with your unweighted GPA, to begin to develop a list of colleges that represent a good Fit and Match for you! If you need help with this, call me! Click here for details. This offer is only valid through March 15, and the number of students is limited! Students in any high school grade can take the PSAT test, which is paid for by school districts nationwide. Unfortunately, not all schools explain the relative importance of the test, or of how the results can and should be used in preparing for the SAT and their college search activities. Few students are told that the highest score on the PSAT is 760 and not 800, as on the SAT. Freshmen and sophomores may be especially disappointed when they see scores well below their school performance to date. (I discourage taking the PSAT before your junior year, but if you do, keep in mind that your percentile – how you rank compared to other scores – is the key statistic to look at). Also, you may not be informed that this test is designed to be less difficult and shorter than the SAT. That might lull you into a false sense of security that disappears when you take the real test! If you’d like help interpreting your PSAT scores, estimating your unweighted GPA, or helping you find a college that’s a good Fit and Match, please email me at Charlotte@cklaar.com or call 803-487-9777. 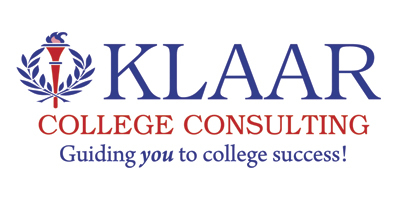 A Certified Educational Planner with 20-plus years of experience, Dr. Klaar is one of the nation’s top college consultants and has led hundreds of students to college success! For more information: Call 803-487-9777 or visit www.cklaar.com.